Check out what is included in their kit: 2 Pairs of Gloves, Shampoo & Conditioner, barrier cream, cleansing wipe plus coloring cream! For years, I've wanted to try an up-scale do it yourself hair coloring kit that works and is also easy on your hair. I know that coloring at-home sometimes has a stigma and I think that Madison Reed is helping change that. They offer healthy, at-home coloring kits. Not only does their website go through a great virtual consultation to help you choose the right color that is perfect for your hair, they also want to help make your hair coloring experience a good one with the ingredients they pack in their product. How does ingredients like argan oil, keratin, and ginseng root sound? More and more companies are now realizing that people do not want chemicals/additives touching them that have been found to harm the body. Do you pay attention to the ingredients in the things you buy? If so, I'd love to hear which ones you avoid or which ingredient you discovered that was most shocking to you? Find reputable brands that you can trust! Ask your friends, look at natural stores, etc. Once you find something that works and that you like, be loyal. Research the ingredient list, I've found that COSDNA is a great resource to look up ingredients. 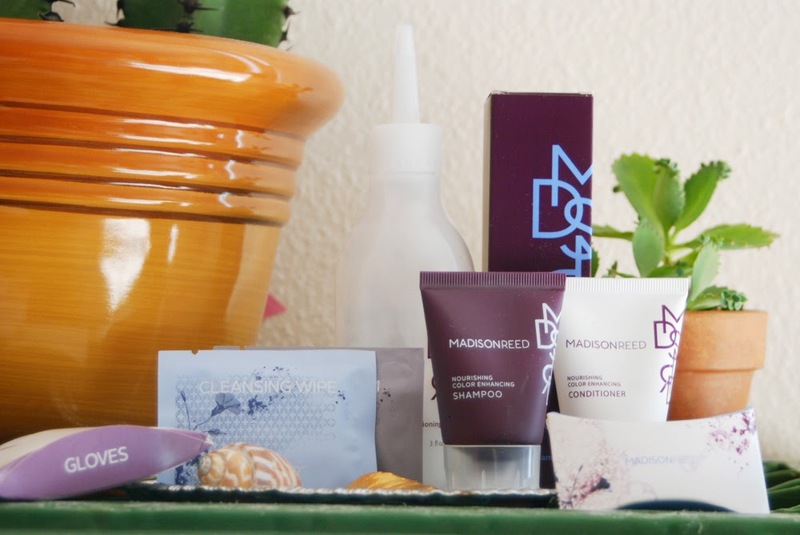 When it comes to hair coloring kits, Madison Reed knows just what people should expect. I appreciate a company that cares about what I put on my skin. Their kit was easy and fun to use! VISIT MADISON REED BY CLICKING HERE! In addition to Madison Reed comments/questions, I'd love to hear about your favorite natural/healthy/non-toxic beauty products in the comment section below. Thanks again to Madison Reed for sponsoring today's discussion!